Here is a great account of the attack of US planes against the Japanese carriers at Midway. Makes me want to read Mitsuo Fuchida’s memoirs. 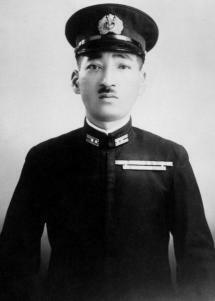 “The first enemy [U.S.] carrier planes to attack were 15 torpedo bombers. 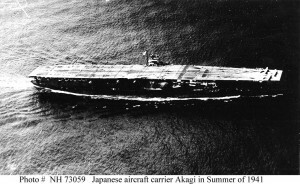 When first spotted by our screening ships and combat air patrol, they were still not visible from the carriers, but they soon appeared as tiny dark specks in the blue sky, a little above the horizon, on Akagi’s starboard bow. The distant wings flashed in the sun. Occasionally one of the specks burst into a spark of flame and trailed black smoke as it fell into the water. Our fighters were on the job and the enemy again seemed to be without fighter protection. I appreciate you helping people remember the men of that era! Thank you.